Whistleblowers can report Skilled Nursing Facilities providing substandard care to Medicare and Medicaid patients. 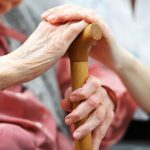 The nursing home violates the False Claims Act if the services are so deficient that they are effectively worthless. 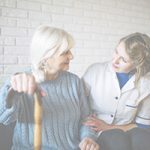 A nurse, patient or the patient’s family can report the facility to the Department of Justice and eligible individuals can potentially earn a reward if the U.S. is able to recover the funds it spent on healthcare at the nursing home. Skilled nursing providers are paid a per diem rate by Medicare and Medicaid. If they are not providing the services required by the government, their submission for payment may constitute a false claim. The Department of Justice has successfully litigated several cases to settlements using this theory. The failure to provide adequate care to residents is actionable if it is so materially deficient as to cross the line according to federal and state. 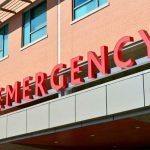 Some courts may also find liability if the service is not completely worthless but is sufficiently below the standard for expected care to be considered a violation of the false claims act. Some examples of deficient care would include insufficient staff, inadequate catheter care, insufficient protocols to prevent falls or pressure ulcers, and inadequate care of infections and bed sores. The amount of therapy provided to patients must be determined by patient need rather than the financial motives of the therapy company. Companies may not subject patients to therapy goals or durations that are unrealistic given their condition. They may not ramp up the amount of therapy during assessment periods without clinical justification in order to increase the amount they can bill. 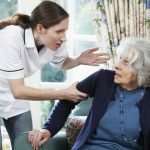 Nursing homes may also violate the law for improper kickbacks and referrals under the Anti-Kickback Statute and the Stark Law. These cases would involve payments for the referral of patients to the nursing home or nursing home patients to outside vendors. 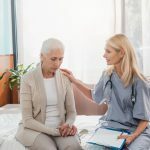 The law may also be violated when the owner owns both the skilled nursing facility and the other entity receiving or providing the referral. The government strengthened the public-private partnership between whistleblowers and the U.S. Government in 1986 when it amended the False Claims Act. It compensates whistleblowers in order to incentivize them to provide information about fraud against the federal government. If individuals did not come forward with nonpublic information, the U.S. would have a difficult time policing violations of its laws, regulations and contracts. There are many individuals that could report a skilled nursing facility for insufficient care. 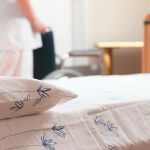 Over the years, there have been many nurse whistleblowers who have grown tired of the conditions there patients are subjected to by the home. Administrators have discovered that regulations are not being followed and blown the whistle. Even patient's families have reported problems in the care of their loved ones. If you have evidence of misconduct, the quality of your evidence is more important than your position. Many individuals simply grow tired of watching their patients suffer and decide to put a stop to it. Others discover that they may receive a large payment for doing the right thing. Relators, as the individuals are known under the law, are entitled to an award of between 15 and 30 percent of the U.S. Government's recovery under the law. There are a number of terms and conditions to determine eligibility for this payment, however.